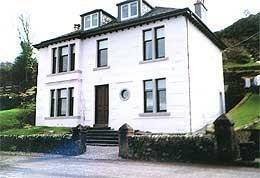 Glencarrick is a detached Victorian conversion just outside the lively fishing village of Tarbert. 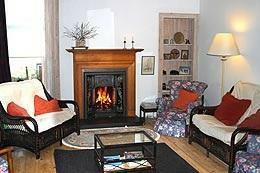 The house has been totally refurbished to highlight many of its original features and has views over Loch Fyne. This tastefully furnished property sleeps up to 6 people. This house comes with a large lounge with TV, stereo and traditional log fireplace. The dining/kitchen comes with an electric cooker, microwave oven and washing machine with tumble dryer. A BBQ is also supplied. A spacious double and twin room are available. They both share two bathrooms: one with a bath and one with a separate shower unit. All bed linen and electricity are provided. Tarbert is situated at the top of the Kintyre peninsula. Those who discover it will be well rewarded and can enjoy the scenic beauty and rich historical heritage of this part of the country. There are many events in the town and local area throughout the year including yacht races in May, the Seafood Festival in July and the Music Festival in September.